Imagine sitting in gridlock on an LA freeway. 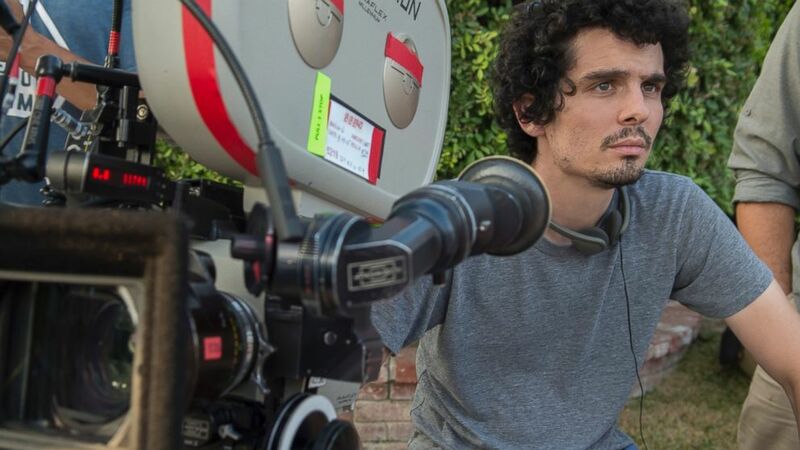 Director Damien Chazelle is only on his third film. But for the second year in a row, he's creating Oscar buzz with the new musical "La La Land." The film is about a musician, Sebastian, played by Ryan Gosling, and an actress, Mia, played by Emma Stone, who fall in love while on a quest to fulfill their professional dreams. It kicks off on a freeway in Los Angeles with a rousing musical number like no other. 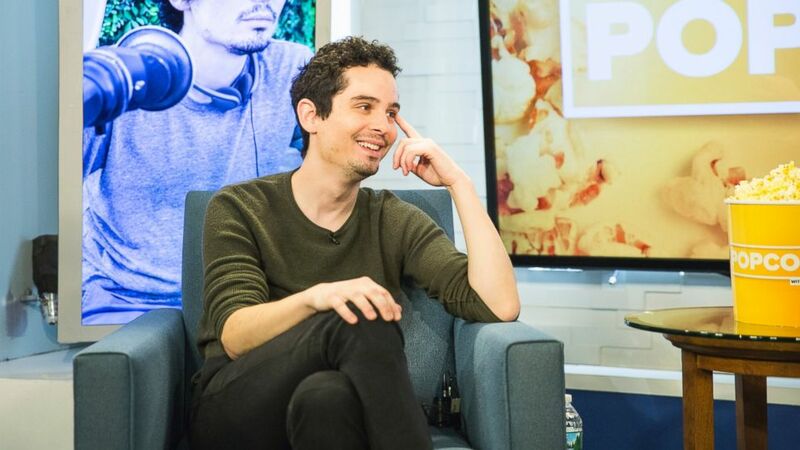 "That germ of that idea, it came from sitting on clogged freeways just like that in LA, beating my head against the steering wheel," Chazelle said in a recent appearance on ABC's "Popcorn With Peter Travers." "You want to do something. You want to get out of the car." (Dale Robinette) Director Damien Chazelle is seen here on the set of La La land. Download the all new "Popcorn with Peter Travers" podcast on iTunes, Google Play Music and Stitcher. "I grew up on the East Coast. I was watching LA movies in the '90s growing up. That to me was LA," Chazelle, 31, told Travers. "The opening of that movie is the most hellish freeway gridlock you can imagine, the furthest thing from a musical you can imagine. I came to LA and realized it has its charms and eventually I fell in love with LA. But I liked the idea of trying to start this movie with the very thing that we most associate with LA, which is people stuck in traffic, and tried to see could there be something beautiful about that." Chazelle shut down two major freeways to shoot the scene. "You get this view of downtown LA, which to me looks like the Emerald City, you know from 'The Wizard of Oz,' and so it has this scope to it. And it was great, going up there, nothing was green-screened. We got to shoot it all for real, which was my dream," he said. The musical was a risky undertaking by most accounts. But Chazelle was encouraged by the initial response from the singers, dancers and actors in the film. "I remember when we finished shooting the freeway number, 100 dancers on the freeway there," Chazelle said. "It had been a heat wave when we shot. It was like 110-degree heat in September. And you'd think everyone would want to get off the freeway as soon as possible. I remember as soon as we finished shooting no one wanted to leave the freeway. And they're like, 'Let's watch the rushes [raw footage of the day's shootings]. And so right there on the freeway we pulled out the monitor and played some of our favorite takes and all of the dancers got to watch. And suddenly we were having a little mini-celebration on this freeway ramp in the heat. It's stuff like that that you just don't expect happening that I think is the byproduct of people coming together doing something that they've never done before." Still, Chazelle admitted he was nervous at times making the film. "There were definitely moments when I thought, 'Oh, I get why they don't do this,' where I'd feel completely in over my head," Chazelle said. Just last year, Chazelle was nominated for an Oscar for his film "Whiplash," starring J.K. Simmons and Miles Teller. "La La Land" is only his third film. "This movie was such a dream to even get to make. I can't express how it is to get to show it," Chazelle said. "It's just this incredible gift that did not seem that it could happen." Be sure to watch the full interview above to hear Chazelle talk about preparing Gosling and Stone for their roles.